Ryan is the Office Manager at City Oasis Dental. He is here to help with any questions you may have about the clinic including; treatment, treatment options, insurance coverage, dental related technology and materials, staff, etc. 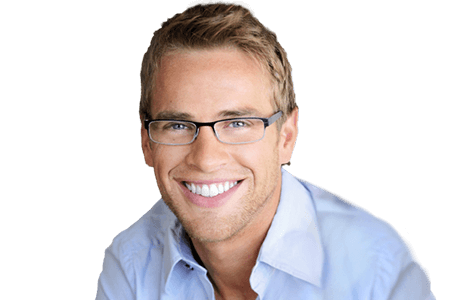 Ryan has a strong understanding of dentistry and dental services having worked in the dental industry for the past 5 years. 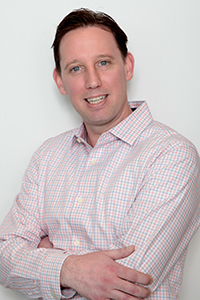 He worked from 2011-2016 as a Manager with DENTSPLY Canada, the largest dental manufacturer in the world. Ryan studied Business and Science at the University of Toronto and graduated in 2005. 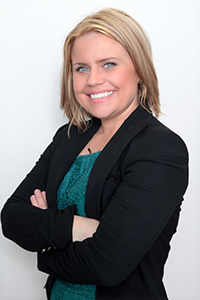 Kara has been in the dental industry for nearly 14 years graduating as a Certified Level II Dental Assistant in 2005. 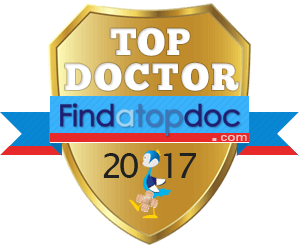 She has been working in offices around South Western Ontario and brings a wealth of knowledge clinically and administratively. She has a particular interest in the orthodontic field. If you're in Invisalign treatment within the office, you likely would have seen her! If you have any questions regarding Invisalign treatment, she's your girl! Kara has a positive sincere attitude and is always a pleasure to talk with. She is very happy to be apart of the City Oasis Dental Team. When Kara has free time she enjoys spending it at her cottage close to Port Stanley, lounging in the sun or getting cozy by the fire. 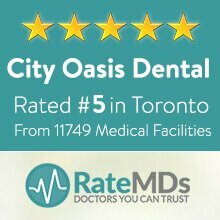 Natalie brings a wealth of dental experience to City Oasis. 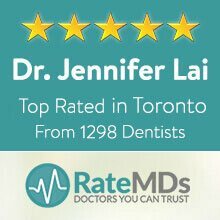 She has worked in Toronto dental offices for nearly 10 years. She has worked with Dr. Jen at two previous offices and was very excited to join Dr. Jen and the City Oasis team a few months after the office opened. Her experience includes work as an administrator, patient and treatment coordinator, and marketing manager to name a few; Natalie is capable of pretty well everything other than operating the dental drill. Natalie is particularly skilled at navigating and maximizing dental insurance plans to ensure the patient pays as little out of pocket as the policy allows. At City Oasis Natalie is responsible for all of the pre-determination work with insurance plans, and is highly effective at explaining the plan details to the subscriber/patient. She has a positive and bubbly personality and is always a pleasure to deal with in person or on the phone. Susan graduated as a Certified Intra-Oral Dental Assistant and successfully completed her National Dental Assisting Examination Board (NDAEB). Susan is Dr. Vivian’s primary assistant and is passionate about Dentistry. She is a caring person, an exceptional communicator, and always has the patient’s best interest at heart. She has brought an array of knowledge to our office with over 25 years’ experience as an R.D.A. She has a profound understanding of Infection Control procedures recommended by the Occupational Safety & Health Administration (OSHA), the Centers for Disease Control (CDC) and the Environmental Protection Agency (EPA) are crucial components to follow at City Oasis Dental. Susan always ensures her patients fully understand their treatment and receive the best possible health and dental care at City Oasis. 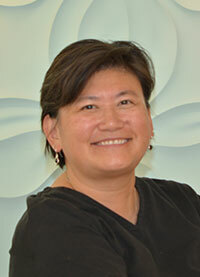 At City Oasis Dental Susan is responsible for assisting Dr. Vivian, sterilization, and ordering of supply. She is meticulously organized, caring, respectful, skilful, and an astute listener. Susan most valuable characteristic is her sense of humour, she can make a nervous patient feel at ease. Outside the Dental World, she enjoys outdoor activities, photography and is a retired volleyball enthusiast. Susan is fluent in English, Mandarin, and Cantonese. Elena has happily joined the team at City Oasis Dental in August 2018 and is Dr. Jenn’s primary R.D.A. She graduated from the Dental Assisting (level II) Program at George Brown College in 2008. The following year, she passed the National Dental Assisting Examining Board exam and became a licensed dental assistant level II. Elena has valuable experience and is knowledgeable and highly skilled at assisting all dental procedures. Elena is always happy to see new and existing patients at City Oasis Dental. Having had fear of dentists in the past herself, Elena does her very best to make dental appointments as stress-free as possible. Elena has completed a Paralegal Program from Seneca College of Applied Arts and Technology. That enabled her to understand the legal aspects of dentistry such as confidentiality of patient information and proper record keeping. In her free time, she enjoys DIY project, spa treatments, learning about healthy and eco-friendly lifestyle, dancing, and taking care of her cat Ksusha and turtle Maria. She is a big animal lover! 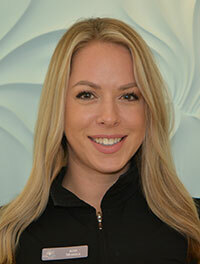 One of our most recent additions to the City Oasis Dental Team is Adrienne Porskamp. This bright star has 7 years experience at various dental offices across the GTA. She grew up in a small town in Nova Scotia and received a Bachelor of Science from Mt. Allison University in 2006. After years of travelling to Toronto as a tourist, Adrienne decided that she wanted to call this city home. Furthering her education was always the plan and in 2009 she decided to enroll in George Brown’s Dental Hygiene program. In 2011 she graduated and moved immediately into the field. 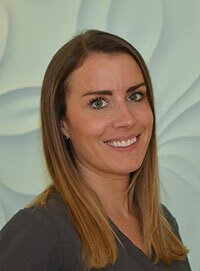 Adrienne is passionate about dental hygiene and enjoys educating her patients on the latest techniques and products to improve their oral health. She takes pride in her ability to put patients at ease and is able to perform a thorough cleaning with a gentle touch. Nothing makes her happier than seeing her patients achieve their oral hygiene goals and become excited about going to the dentist. We are thrilled to have her on board with our City Oasis Dental family! 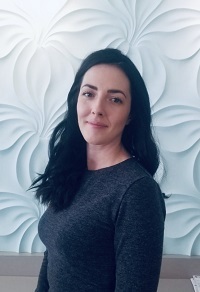 Monica began her career in dentistry as a dental assistant and then graduated with honours as Dental Hygienist in 2009 from Canadore college in North Bay. Now with over 10 years of experience working in various clinics in Toronto, she is happy to bring her clinical experience to city oasis. "What's most important to me is developing personal connections with my patients - it makes my work meaningful." Her competent technical skills reflect her strong attention to detail. This combined with her friendly disposition enables her to provide patients with the best overall experience possible at City Oasis. Keeping current with evolving trends and her keen interest of natural and homeopathic remedies being implemented in dentistry are also topics she likes to incorporate into her appointments. Monica grew up in northern Ontario and likes to escape the city when she can. She loves to travel, talk restaurants in the city and is an art enthusiast. Alyssa was born in Newfoundland and Labrador and completed the Dental Hygiene program at Dalhousie University in Halifax, Nova Scotia in 2011. In 2015 she made Toronto her home and enjoys the energy of the busy city and exploring all that it has to offer. 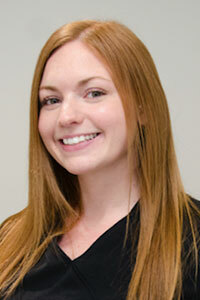 Alyssa’s patient and gentle nature ensures that clients will have a comfortable and relaxing dental experience. 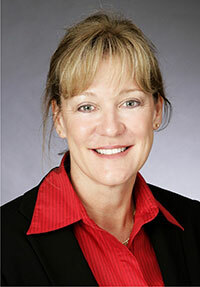 She believes in individualized oral hygiene instruction and clinical care as everybody’s needs vary. She is passionate about Dental Hygiene because it is a growing field where there are always new things to learn and in turn educate. She believes in the importance of oral hygiene education as oral health promotes overall health and well-being. She has positive attitude and outgoing personality and is very excited to be a part of the City Oasis Dental team! We are happy to announce the addition of Cathy Acheson to our growing team at City Oasis Dental. Cathy is a RN who graduated from Ryerson University and holds current registration with the College of Nurses of Ontario and the Registered Nurses Association of Ontario. She is a current holder of Advanced Certification Life Support, (ACLS)-provider certification. After graduation she began her career as a dental nurse in an endodontics practice in Toronto and from there moved on to a busy oral maxillofacial surgery clinic where she worked for 25+ years as a surgical and recovery room nurse. The clinic was known for pain free wisdom tooth extractions with various forms of sedation. Cathy advanced her career leaving Dentistry and going on to work at a well-established Cosmetic Surgery Clinic, primarily focusing her expertise on Cosmetic Laser procedures. She posses’ certifications with over 15 various types of medical lasers including; Diode, CO2, Erbium, Thulium, Fraxel, Alex, Thermage, and many more. Cathy has treated 100’s of patients, 1000’s of treatments on conditions such as: Acne Scars, Facial Veins, Hair Removal, Pigmentation, Rosacea, Sun and Age Spots, Tattoo and Wrinkle Removal. Over the past 14 years she has also gained great experience injecting Botox for both cosmetic use (lip lines, frown, crowsfeet , gummy smile lines, oral commissures) as well as therapeutic use which includes TMD, Migraine, Hyperhidrosis.